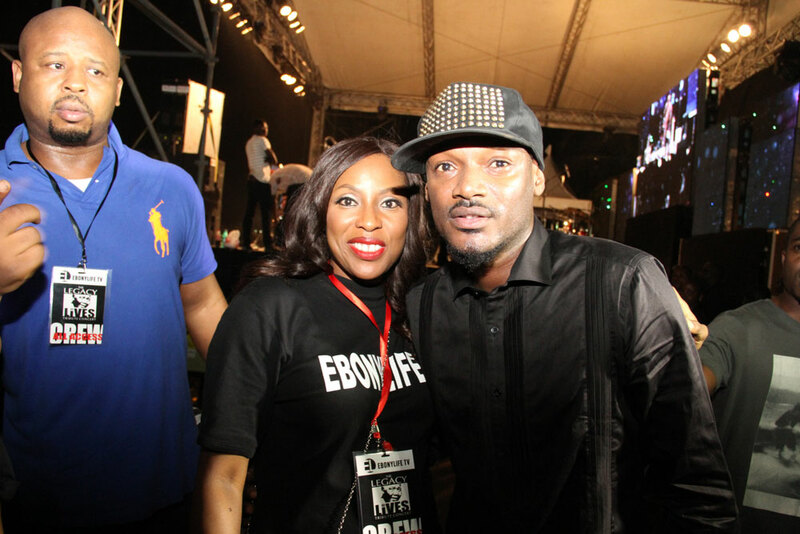 EbonyLife TV rallies Nigerian stars to perform in honour of Nelson Mandela. LAGOS (DECEMBER 19, 2013) The night was formidable and festive; the air super-charged with stimulating exhilaration; the atmosphere lined with welcoming branding and merchandise; the sound systems revving with acoustical alacrity as the crowds sauntered into the intense venue, ready to party for a noble cause. For hundreds of enthusiastic music lovers and guests who trooped out to the Ocean View Restaurant in Victoria Island on Wednesday December 18, 2013, to pay tribute to Mandela, who was laid to rest in Qunu, his South African ancestral home last Sunday, there was only one thing at the back of their minds – celebration. It was going to be a special celebration of the triumph of humanity and humility over arrogance and power; of dignity and long suffering over anguish and hate, of love and hope over discrimination and despair; a celebration of some of the finest qualities that Nelson Rolihlahla Mandela lived for, died for and will forever be remembered for, hence the aptness of the title of the concert – “The Legacy Lives – A Tribute Concert” for Madiba. In the spirit of that celebration, Nigerian stars came out in fascinating numbers on the night to honour the first democratically elected black South African President whose legend as freedom fighter, democrat, philanthropist, humanitarian, nation builder, unifier, liberator, change agent and Nobel Peace Prize winner continues to reverberate around the world, even in death. In attendance at the event were stars such as D’banj, Tuface, Tiwa Savage, Ikechukwu, Waje, Darey Art Alade, Burna Boy, Timi Dakolo, Julius Agwu, Nikki Laoye, Victoria Kimani, Nneka, Joseph Benjamin, Olisa Adibua, Ebuka Obi-Uchendu, K Switch, Niyola, Chuddy K among a host of others. It was a night of the richest medley of soul-stirring music, rapturous comedy and profound words in honour of Mandela. To set the stage for what would be an amazing night was the jazzy rendition of the National Anthem by no other than the astonishing Nikki Laoye, who would later send the crowd on paroxysms of excitement with her sonorous voice and the deftness of the feet of her dancers. As soon as the show kicked off, Godbless and the Ebony Band wasted no time in thrilling the guests with a scintillating cocktail of well-known African tunes like Miriam Makeba’s ‘Pata Pata’, Brenda Fassie’s song of celebration, ‘Vulindlela’, Flavour’s ‘Ada Ada’ and even ‘Blurred Lines’ by Robin Thicke. Foremost On-Air Personality and show business celebrity, Olisa Adibua, was on hand to compere the occasion alongside Ebuka Obi-Uchendu. 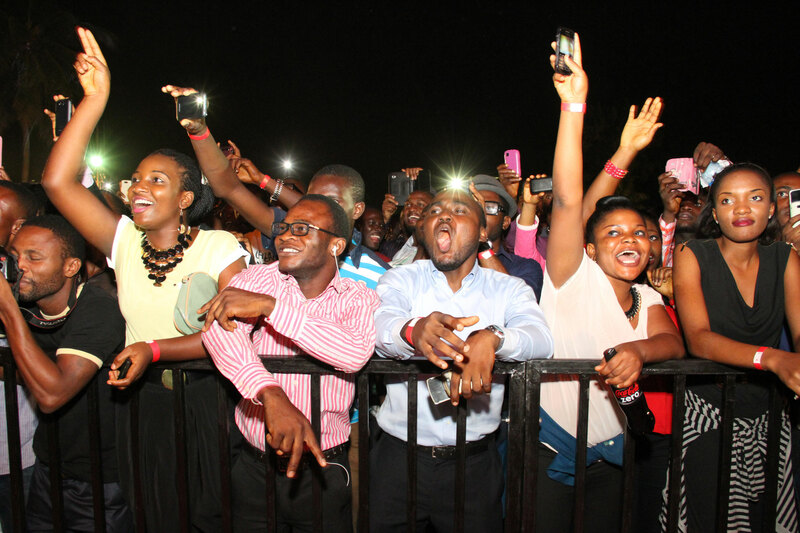 The presence of ace comedian, Julius Agwu, was always going to cheer the eager crowd. He did not disappoint as he poured out several jokes and a few thoughts on the African hero. Performer after performer enchanted the crowd with their acts. Tuface or TuBaba electrified the people with many of his great songs like “African Queen” and “Implication”. D’banj, the multiple-award winning ‘Koko master’ and ‘Eja Nla’ showed why he is called The Entertainer with every second on the stage, as he thrilled everyone with his riveting display. Memories of Waje’s soulful composition and Tiwa Savage’s eclectic stagecraft would remain with the crowd for a long time. So were performances by Darey Art-Alade, Burna Boy, Ikechukwu, Engager and others. Interludes of encomiums and thoughts on the African hero, with screened interviews from Lagos State Governor, His Excellency Babatunde Raji Fashola (SAN), Cross River State Governor, His Excellency Liyel Imoke and a mini-documentary on Madiba provided nice vignettes on the overall show. It was not only the stars on the night who had the opportunity of expressing their admiration and appreciation to Mandela who was imprisoned in South Africa for 27 years for his crusades against apartheid before becoming the country’s first black president, the guests too had a chance to share a thought and leave a message on the available walls of commemoration, about the legacy of the globally celebrated leader. 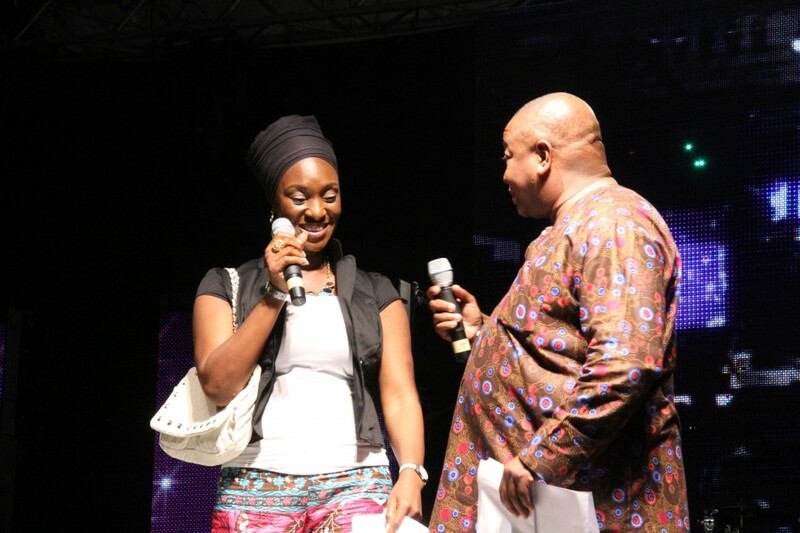 “The Legacy Lives” Madiba Tribute Concert which was put together by some of Nigeria’s biggest music stars and some notable brands, in collaboration with EbonyLife TV, Africa’s first Global Black Entertainment Network, was indeed a commemorative event in honour of the late global icon as attendance was open and free for all. Also in an open show of the popular spirit of ‘Ubuntu’ (meaning humanity and selflessness in South Africa) which the dear departed Madiba embodied, all contributions towards the event were given gratis, from the venue of the concert, to the performances by the artistes, to all the technical support and even food and drinks on the night. Tribute partners included Beat FM, Classic FM, Naija FM, Eko Hotel & Suites, South African Embassy, Diageo, Coca Cola, Lagos State Government, Cross River State Government, Cool FM, Maverick Equinox Ltd, The Guardian Life, Bella Naija, Red Media Communications, 360 Nobs, Linda Ikeji, Noel Productions, DKM, Chocolate City, Sound City and Silverbird TV. With behind-the-scene support from African Events Company, GQ Acoustics, No Surprises Events, Mobile Screens & Sound Ltd, Chef Fregz, Pisces Power, Gong Beat, Afri Tickets, Chicken Republic, Prive, South African Airlines, Discovery Brands Management, Damell Photography, Rapid Rentals, K-Square, Tent Event, Saheeto and Jam Cookie Jar.